A line of loyal clientele and a history that stretches back to 1949 are not the only reasons to visit Fuller’s Jewelry. Over this time they have shown continuously that they treat their customers like family. Clearly they have also collected a deep knowledge and level of experience from their years of serving their community. Add to this their extensive range of vintage styled engagement rings, unique pieces of precious jewelry and wedding rings as beautiful as any antiques, and you have the most impressive jewelry store in Texas. The team of experts at Haltom’s doesn’t stop at only carrying engagement and wedding rings in Dallas. Their goal from the very foundation of the establishment has been to be a community jeweler. This means being present in every celebration of their customer’s lives, from baby gifts to 50th wedding anniversaries. The dedication they have to their neighbors means that they insure they have a wide range of options. Both classic and modern styles are represented while always remaining affordable. A woman will cherish any piece of jewelry given to her. Diamonds, shimmers and birthstones would look great on her hand. They are simple, yet exquisite to own. 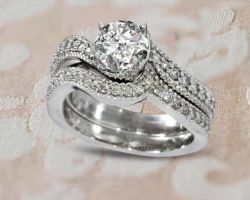 Zales sells timeless wedding pieces across the USA. In South Dallas, there are 16 outlets to choose from like the Zales Jewelers at North Park as well as inside the Town East Mall. Find a designer antique or unique ring for her in classic solitaires, dazzling three-stone looks, usual round or princess-cut diamonds, shimmering halo-framed Asscher or custom cushion-cut diamonds, and etc. It’s a blessing to have a Zales. Whilst many engagement rings in Dallas, TX have been shipped in from around the globe and their quality cannot be guaranteed, this is not the case at Paramount Jewelers. Their luxury pieces of jewelry are crafted in store after they have sourced the raw diamonds from the best suppliers in the world. Their staff members are experts, which means they can assist you not only in the look but in the underlying value of the ring as well. 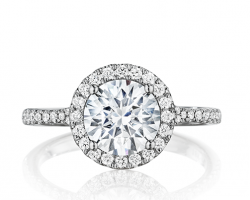 Having peace of mind when you buy Dallas engagement rings truly is priceless. 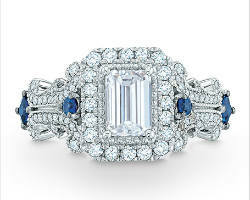 A name that Dallas shoppers have come to know for high quality diamond engagement rings is Whiteflash. With their own internationally acclaimed A CUT ABOVE® super ideal diamonds and as authorized distributors for the top designer brands, the jewelry Whiteflash offers is top shelf. You can easily shop online with the company Kiplinger’s magazine called “Lord of the Online Rings”, or make the trip down I45 to visit the Whiteflash showroom in Houston. 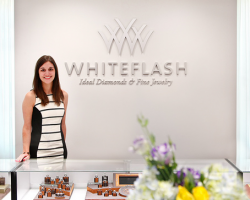 As recipients of the 2015 BBB Pinnacle Award and members of the American Gem Society, Whiteflash quality is only matched by their devotion to the best in customer care.